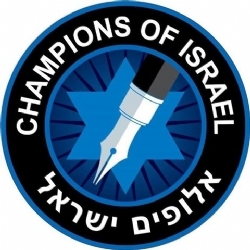 In an effort called Champions of Israel, Hebrew School students have been writing letters of gratitude to performers and other public figures who express their support and solidarity with Israel. Students are engaged and excited to participate, and without prompting, sketch stars of David and other drawings to accompany their letters. In addition to helping Israel, the community effort yields research-backed health and social benefits to the students. This year, Champions of Israel is being rolled out to other Hebrew Schools and being expanded to include older students and adults. To learn more, call the Chai Center at (631) 351-8672 and ask for Allan Richter.